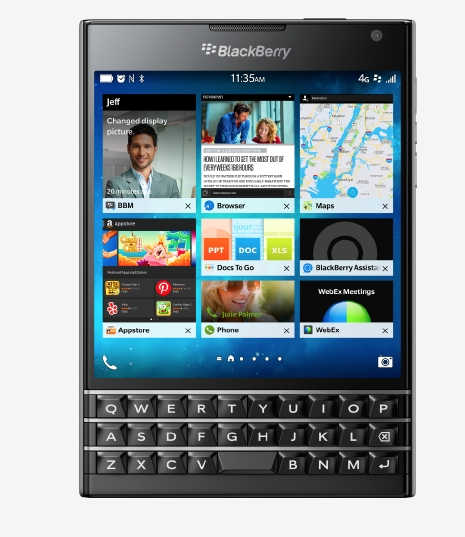 BlackBerry offers up to $600 for your iPhone | BlackBerry Blast! BlackBerry really wants you to use the BlackBerry Passport, and they are willing to put their money where their mouth is. The company is offering up to $600 for your old iPhone if you trade it for a Passport. The offer lasts until February 15, and is valid for all iPhone models form the 4s forward. Simply purchase a BlackBerry Passport directly from BlackBerry, or on Amazon.com, and BlackBerry will send you a prepaid Visa about 6 weeks later. Depending on the condition of your iPhone you can get up to $400 for it, plus $200 extra from BlackBerry. Switching from an iPhone is a tall order. Is a $600 prepaid Visa enough for you to make the switch?